A 27-year-old constable with the Royal Canadian Mounted Police was rescued by an Army helicopter after becoming stranded atop Gibraltar Rock on the south side of Mount Rainier. He is being treated for severe hypothermia. An experienced mountaineer who is also a member of Canada’s national police force was rescued by an Army helicopter Thursday, 24 hours after he separated from his climbing party near the summit of Mount Rainier, according to the National Park Service. Dennis Endong Cui, a 27-year-old constable in the Royal Canadian Mounted Police from Surrey, B.C., was hoisted from the top of Gibraltar Rock on the south side of Mount Rainier around 5:30 p.m., Kevin Bacher, a spokesman for Mount Rainier National Park, wrote in a news release. Cui and two other climbers had gone up Fuhrer Finger and had nearly summited Wednesday when Cui became ill and told his partners he couldn’t go on, the release says. The three began taking a standard route down when Cui inexplicably “made a decision to unrope and head directly down mountain,” apparently ignoring the protests of the other climbers, the news release says. 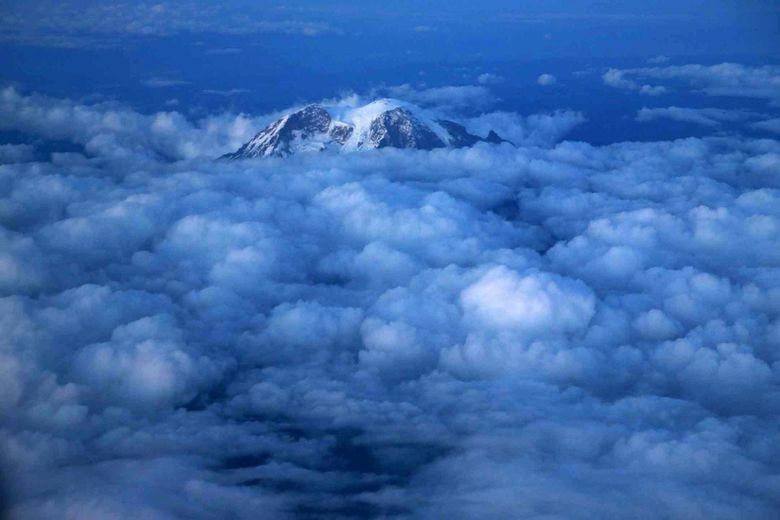 The two other climbers called 911 to alert rangers to Cui’s odd behavior, then descended to Camp Muir, according to the release. 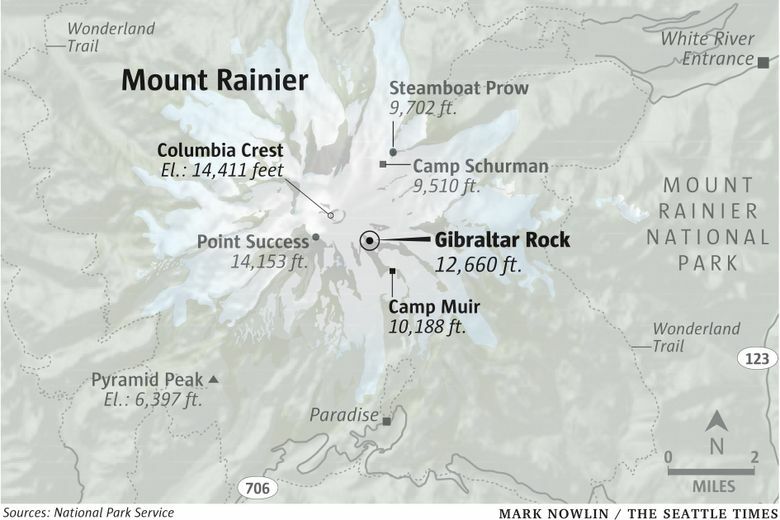 Cui, meanwhile, attempted to descend Gibraltar Rock and was seen around 11 p.m. using his headlamp to signal guides at Camp Muir from the rock’s near-vertical face, at an elevation of more than 12,000 feet, Bacher wrote. Early Thursday, rangers texted Cui, who messaged back, asking to be rescued and saying he was freezing and did not have overnight gear, the news release says. Three guides tried to reach Cui but were thwarted by poor weather and low visibility, according to Bacher. As conditions improved, the park sent its helicopter, an A-Star B3, to scout the area, but moderately high winds made a rescue impossible for the small craft, he wrote. A Chinook helicopter crew and parajumpers were able to safely hoist Cui off the mountain despite difficult conditions, the news release says. The helicopter was flown by F Company 2-135th from Joint Base Lewis-McChord while the parajumpers, assigned to the 304th Rescue Squadron based in Portland, rode the hoist, the release says. Cui was severely hypothermic but didn’t suffer other injuries. He was flown to Madigan Hospital in Pierce County for treatment, according to Bacher.